The macOS High Sierra 10.13 Public Beta 3 is now available. 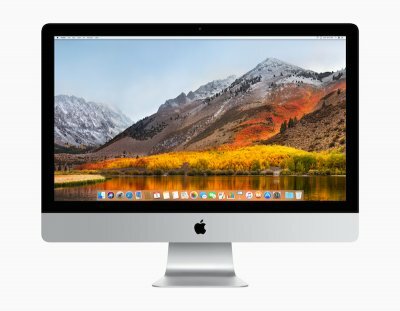 Apple wants as many users as possible to test macOS High Sierra to provide constructive feedback before the official release later this fall. To participate in the free Public Beta, you must enroll in the Apple Beta Software Program using your Apple ID. This was annoying to install.. had to download three times because it failed for some reason, then I had to reboot twice before it installed. Got a black screen without progress bar so I thought it failed again but then it booted to some install screen. i did watch some youtube videos that people posted the little changes over the public beta 2, they say the performance has increased by a lot where you can now use it as daily driver with a few small bugs which is expected,but the beta 2 for me has been worse than beta 1 in terms of performance for some reasons. Did they ever add an option to remove mouse acceleration? Myself and a few of my friends wrote Apple and suggested a real way to disable it without using Terminal, but I doubt they added it. Trying to use a third party mouse in macOS or play any kind of shooter game with mouse acceleration is pure horrible. It blows my mind that they never added such a simple feature. Even if you use the Terminal to disable it, it still doesn't work right and then you can't really change the mouse sensitivity or it turns mouse accel' back on. Everything up and running flawless..
See my extended 10.13 High Sierra Desktop Guide for details. Clean install of macOS High Sierra PB3 (DP4), update from macOS Sierra 10.12.6 and update from macOS High Sierra PB2 (DP3).. Everything verified... no issues at all! My rig works perfectly stable and absolute flawless, with full XCPM, Audio, USB and EIST or Sleep/Wake support. 10.12.6 Web Driver workaround provides OpenGL and Metal support just for Kepler Graphics cards. I had an extended chat with the Nvidia hotline this afternoon. The answer was quite clear. There is an ongoing dispute between Apple and Nvidia concerning contracts, rights and marketing policies... Currently he was not able to say if there will be 10.13 macOS High Sierra web driver support at all. The 10.12 Pascal Driver Disaster reloaded under 10.13? We should asap write a follow-up petition to Nvidia officially asking for 10.13 Web Driver support. The installation was painless here on EconoMac II, and everything seems to be working. It does identify itself as Developer Beta 4 but I don't care as long as betas keep coming my way. According to my benchmarks it isn't as fast as Sierra yet, but it is close, and perhaps 10% faster than the previous beta according to Novabench. It seems that there will not be any Web Driver in the near future. I just had some extended chat with the Nvidia support hotline this afternoon. The answer was quite clear. There is an ongoing dispute between Apple and Nvidia concerning contracts, rights and marketing policies... Currently he was not able to say if there will be 10.13 macOS High Sierra web driver support at all. Kepler users (top be confirmed) are lucky with the 10.12.6 WebDriver workaround for 10.13. No OpenGL and Metal support for Pascal and Maxwell users with this workaround though! 10.12 Nvidia Pascal Web Driver disaster reloaded under 10.13 High Sierra? quickest/easiest update yet. first time I had a successful update on an apfs nvme boot drive. There will not be any WebDriver in the near future. I just had some extended chat with the Nvidia support hotline this afternoon. Maxwell users are lucky with the 10.12.6 WebDriver workaround on 10.13. No OpenGL and Metal support for Pascal with this workaround though! 10.12 Nvidia Pascal Web Driver disaster reloaded under 10.13 High Sierra? This workaround, does it involve copying something over from Sierra? Just asking because if I just change build number it throws a bunch of errors about not being compiled against the right headers..